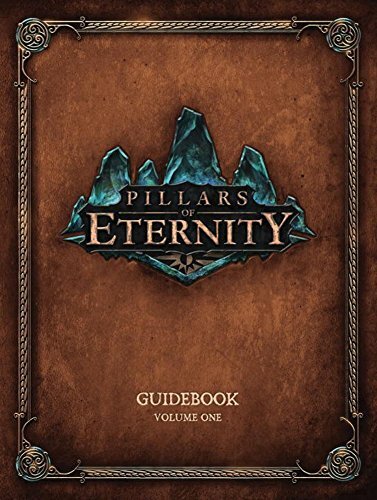 The release date and other details are now available for the upcoming Pillars of Eternity Guidebook Volume One, thanks to a listing from Amazon. The book, which is available for preorder with this link from the retailer’s website, is expected to come out on the 24th of March. Take a look at the design of the hardcover below this paragraph. Pillars of Eternity Guidebook Volume One has 112 pages that will cover every deity, faction, monster and more elements associated with the lore in the RPG. Along with the tests, the book will also included art pieces that have not yet been shown anywhere else. It will be published by Dark Horse Books with an ISBN-10 of 1616558091 in addition to an ISBN-13 of 978-1616558093. Pillars of Eternity is the latest RPG from Obsidian Entertainment, the same studio that developed Star Wars: Knights of the Old Republic II – The Sith Lords, Neverwinter Nights 2, Alpha Protocol, Fallout: New Vegas, South Park: The Stick of Truth and Wasteland 2. The upcoming game, which is releasing on the 26th of March in the North American region (just two days after the guidebook), is designed to appeal to fans of the classic Baldur’s Gate, Icewind Daleand Planescape: Torment videogames from Bioware.